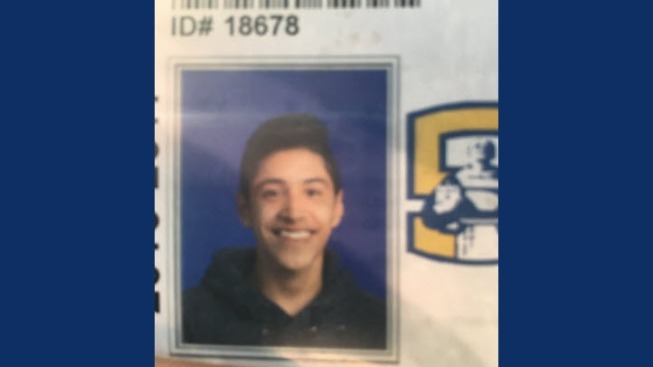 Police in East Palo Alto are asking for help finding a high school student who was last seen Thursday evening, police said. Jonathan Bedolla, a student at Junipero Serra High School in San Mateo, left campus around 3 p.m. Thursday. Police said he went to work at the Stanford Shopping Center in Palo Alto and was last seen leaving the shopping center around 5 p.m.
"We are asking all of you to pray for Jonny's well-being and safe return," the schools' President Lars Lund and Principal Barry Thornton said in a Facebook post Sunday. "The entire Serra community cares about Jonny very much, and is praying for him to come home safely right away." Earlier in the day, school staff had contacted Bedolla's mother about some disciplinary action. Police said Bedolla's mother called her son more than once and sent him text messages; however, he hasn't responded or been in touch with any family members. Police said Bedolla was thought to be near the Menlo Park Caltrain station Thursday evening, but police don't know where he may have been going. Bedolla does not suffer from any medical conditions and is not considered to be at risk. Additionally, police don't' believe there is any foul play involved in his disappearance. Anyone who may have information about Bedolla's whereabouts is asked to email East Palo Alto police anonymously at epa@tipnow.org or by sending a text or leaving a voicemail at (650) 409-6792.